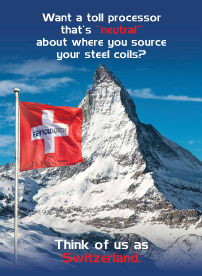 The less time your steel spends in transit, the more you’ll save. 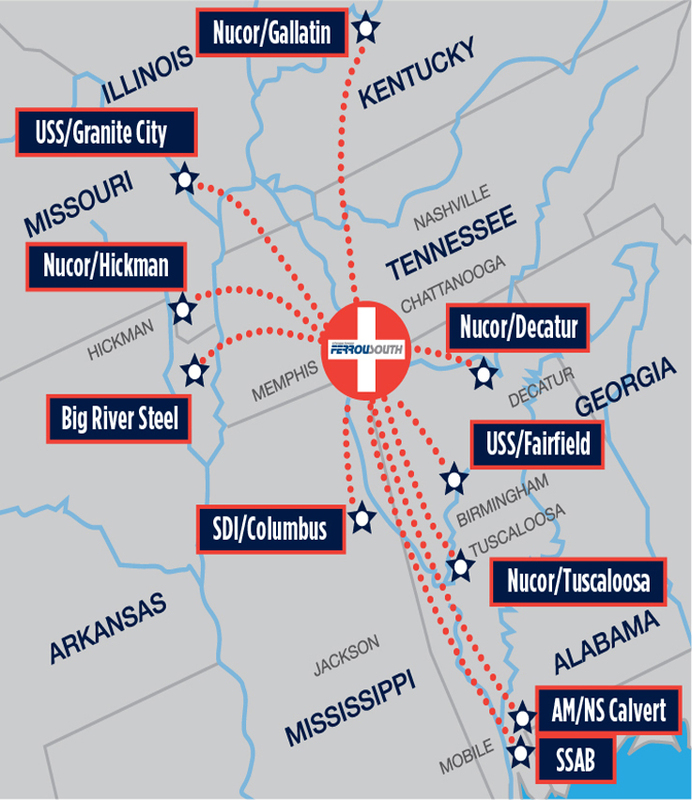 Our location, directly at the port of the Tennessee River and the Tombigbee Waterway, is in the heart of the Southern steel business and gives you a full range of competitive shipping options including barge, rail and truck. Located on a deep river port on the TennTom, FerrouSouth offers very economical barge shipping. And our direct access to the KCSR rail line allows you to rail ship to all major manufacturing hubs and ports in Mexico. With easy access to major highways our own trucks give you yet another shipping option. Our slitting bay provides 65,000 square feet of protected warehouse floor space while the leveling facility adds another 70,000 sq. ft. of space. Both buildings are equipped with high-efficiency heating units for condensation control. The 40-ton overhead cranes make handling an easy, efficient process. Outside storage is also plentiful.